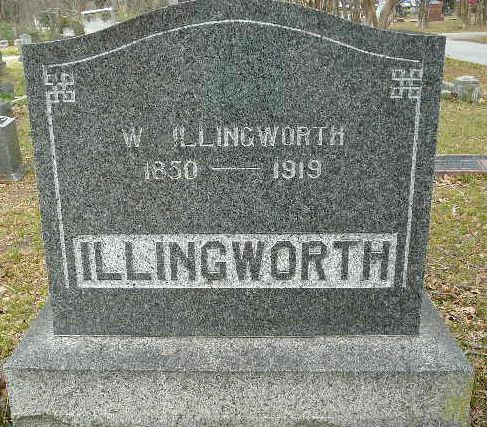 Mr. Illingworth was the son of H. Illingworth and ___Givens. He came to the United States in 1874. Although one source used William as his first name, his name was Wheater. 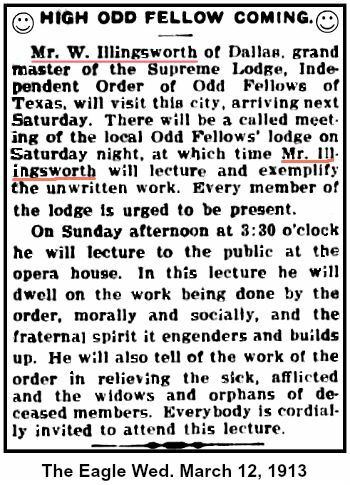 This unusual name may be why he usually used the name W. Illingworth in business, politics, and society in Dallas. Wheater was used in the census and in a lawsuit. 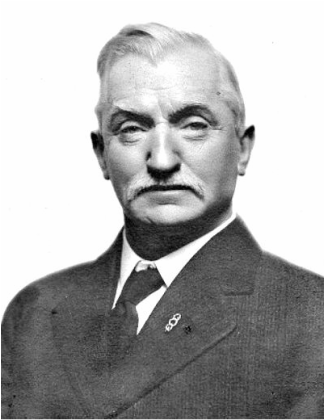 Mr. Illingworth was the owner and operator of the City Planing Mill. 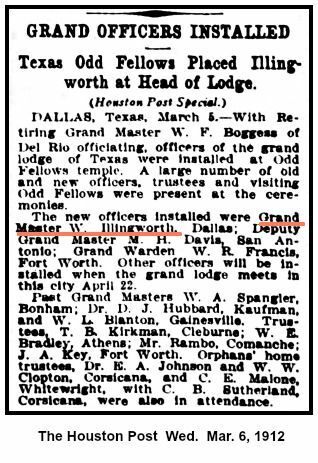 He was an active member of the Dallas Democratic Club and was known as "quite a forciful speaker." 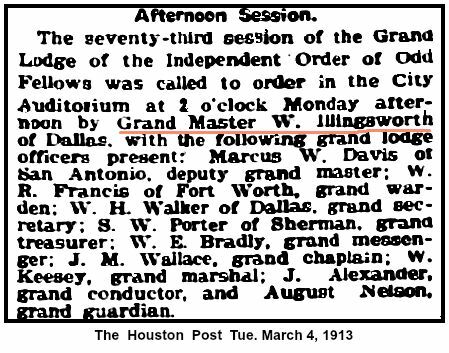 He was an alderman in 1904. 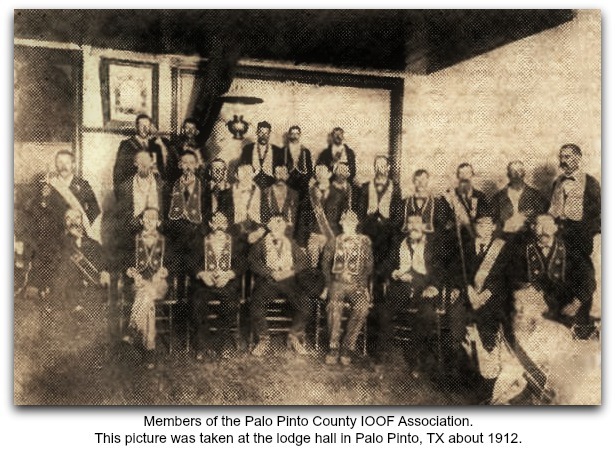 He was a member and officer of Trinity Lodge, I.O.O.F. At the time of his death he was retired from business. After the death of his first wife, he married Isabelle Rockwell in 1892 or 1893. 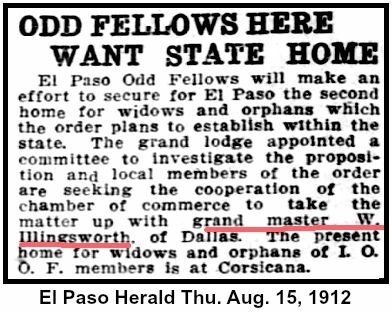 NOTE: From the 1880s until his death in 1919 Mr. W. Illingworth was constantly mentioned in the local newspaper due to his involvement in business, politics, and social organizations.